Although the Los Angeles Dodgers signed A.J. 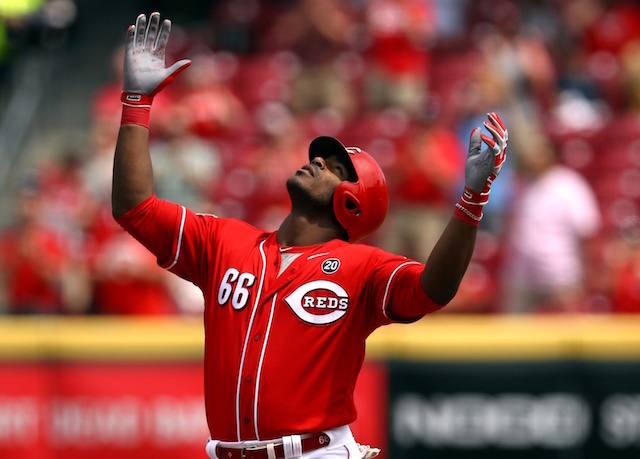 Pollock in free agency, there figured to be an opportunity in the outfield for top prospect Alex Verdugo in the wake of Matt Kemp and Yasiel Puig being included in a trade with the Cincinnati Reds. After back-to-back impressive seasons with Triple-A Oklahoma City, the next logical step for Verdugo was a role at the Major League level. Making the Dodgers’ Opening Day roster appeared to be in some question because of a strong showing by Brad Miller, but he opted out of a Minor League contract. That essentially guaranteed the 22-year-old would begin the season with the Dodgers. Rather than rest on his laurels, Verdugo has shined whenever given a pinch-hit appearance or start. “He’s earned the opportunity to be on this club. It’s not easy when you’re not playing every day, but he’s earning more playing time with his quality at-bats when he does get in there,” Dodgers manager Dave Roberts said. 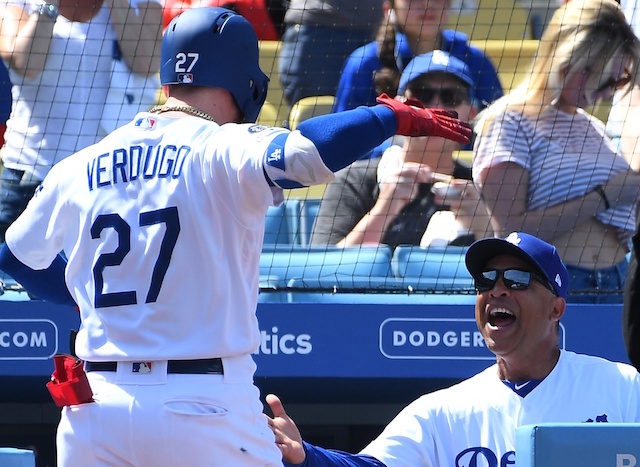 Roberts’ praise came after Verdugo collected a game-high three RBI to spark the Dodgers to a 7-1 win over the Milwaukee Brewers, putting an end to a season-worst six-game losing streak. Verdugo opened the scoring by finding a hole in the shift for a two-out, two-run single off Jhoulys Chacín in the first inning. The Dodgers pushed across six runs and chased Chacín in the third inning. On the season Verdugo is 12-for-36 (.333 batting average), with	a .351 on-base percentage, .694 slugging, two doubles, one triple, three home runs and nine RBI. He’s appeared in 16 games, making six starts thus far.